May this year be better than the last, and I wish us all success and health in our upcoming year. We had a lot of wonderful Group Builds that happened this year. To begin with we finished up the Year of the Cat. Then we had the Kasserine Pass Group Build, and just recently the 100 Years of the RAF has wrapped up too. Currently we have the “Nose Art”, Imodeler at the Movies, and the Mig Group Builds currently under way. I have laid out the plans to contribute a few builds to these current Group Builds as well. I also want to build a few special projects that I have a more personal connection with them. So please follow along with me as I give a quick run down of my builds from 2018. There were 22 builds completed last year. Some were carry overs from the previous year that had not yet been completed. Starting with a F6F Hellcat from the Year of the Cat GB. This one is a plane that was used to train brand new fighter pilots at Naval Air Station Daytona Beach. This one happened to have a personal connection, as it was a plane based from my home town. The landing gear door covers were left off on these planes on purpose. My guess is that it made it easier to work on and inspect the gear for damage. Another Year of the Cat GB model for me was this “Grand Dad” to the US Navy’s world famous “Blue Angels” flight demonstration team. This one is the very first of the long line of “Blues” and was flown by Butch Voris who started the team right after WW2 ended. I painted this one in overall “Insignia Blue”. This next one was another Year of the Cat entry. This time it represents a Utility plane F6F Hellcat that was occasionally used to tow aerial targets. 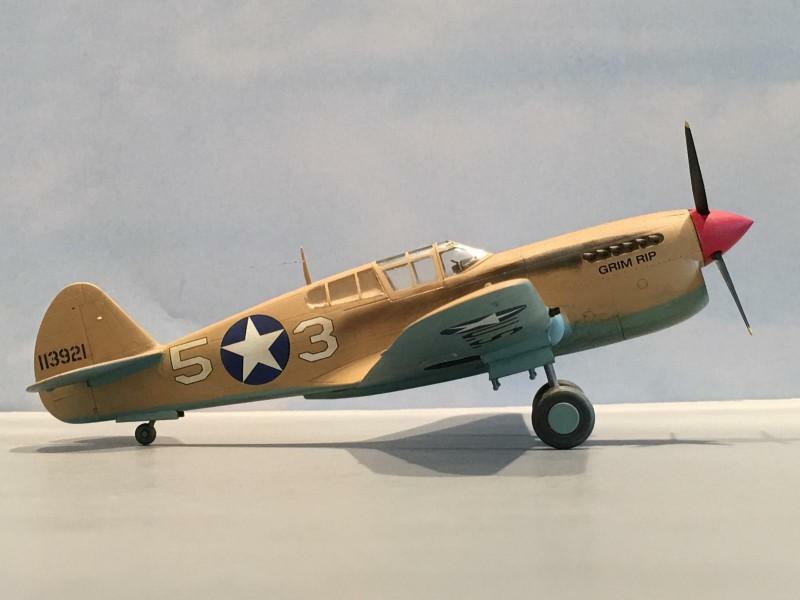 Rounding up the quad of Grumman Cats, I built this radio controlled “Drone” F6F Hellcat. These planes had the tails painted in different colors. This was my last entry for the Year of the Cat. Then my good friend David Thomas @davidathomas started the Kasserine Pass Group Build. Naturally I jumped in with both feet and started out with a few P-40 builds. 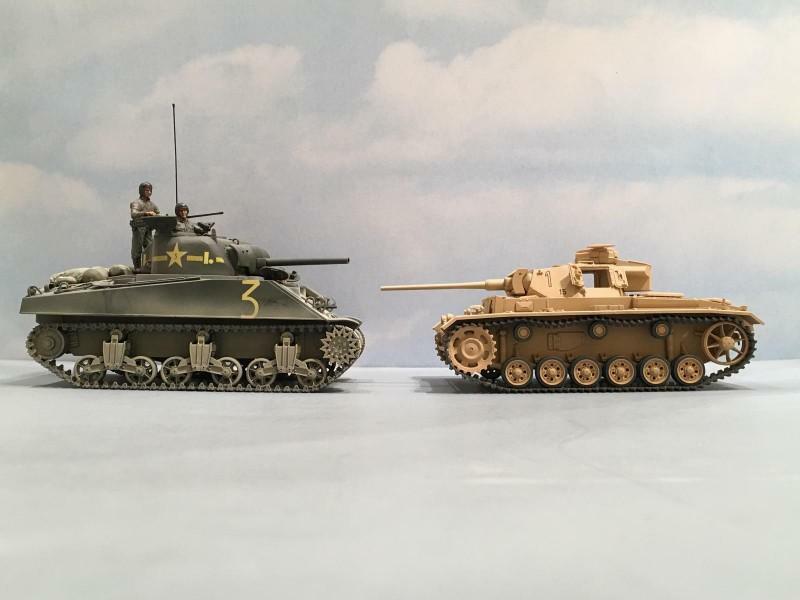 Both are based on the AMT 1/48 kit. Then we have “Light House Louie”, the Amtech version with the resin nose. I knew I had to build up this one when I saw the name of the plane. 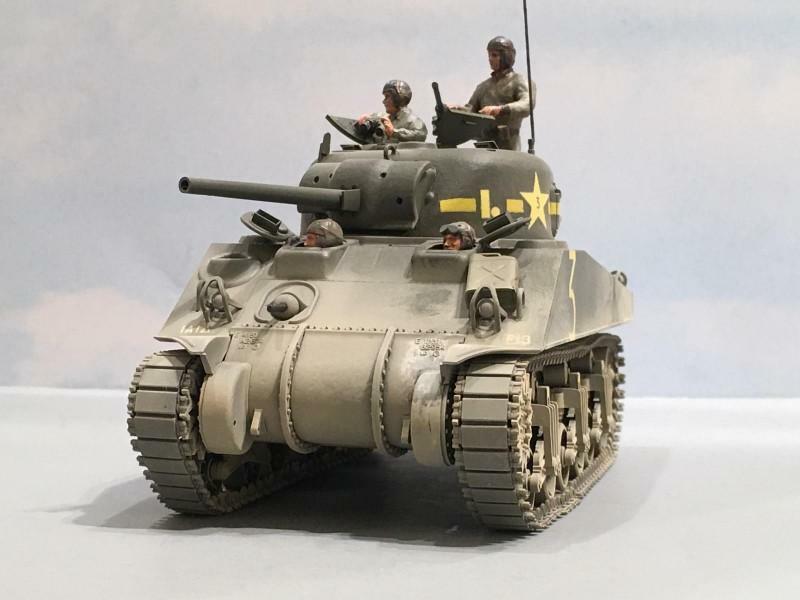 Itching to build up some armor, I decided to add a M4 Sherman to the mix for the Kasserine Pass GB. 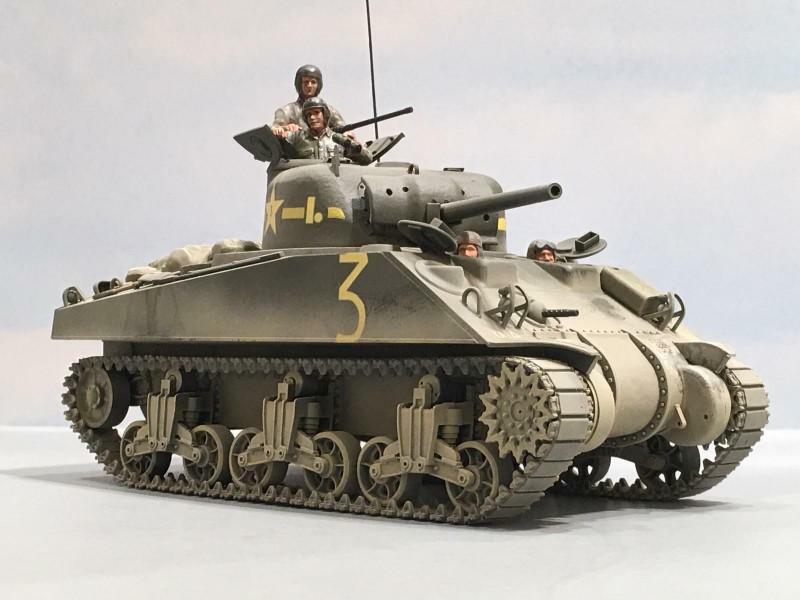 This one is the Tamiya 1/35 kit. I backdated it by swapping out the suspension from another Tamiya M3 Lee. 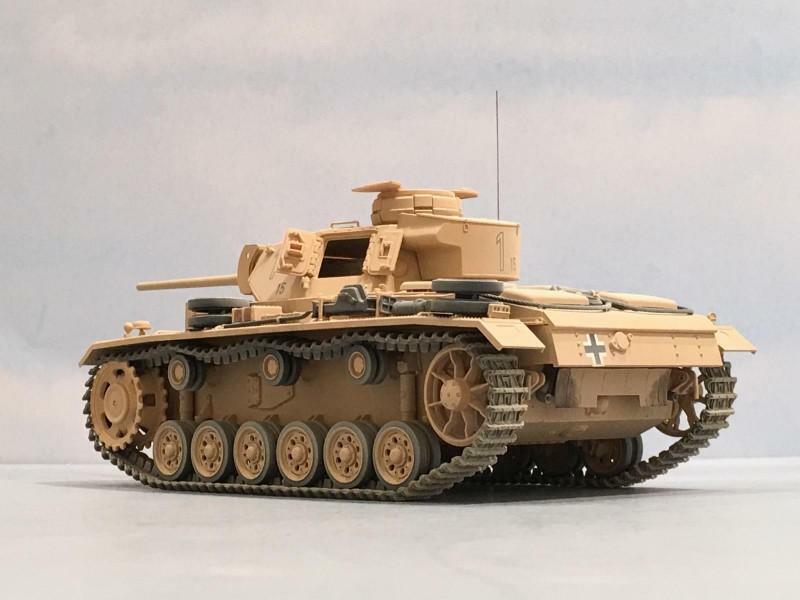 Being a former US Army tanker myself, and having spent a lot of time in the desert in tanks, I just had to build up one for the GB. I weathered it to make it look like a tank that had been operated in the desert for a little while. 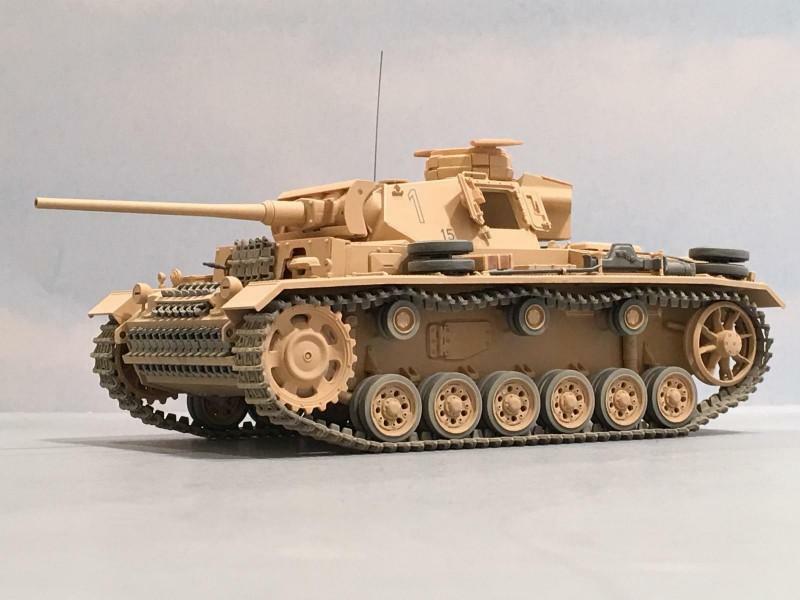 Then to balance things out, (and the perfect excuse to build this next one) I decided to toss in a Tamiya 1/35 Panzer III. Then I had things almost even – as far as armor was concerned. By now it had been a while since the “Iron Werks” was in full production with multiple builds of the same type of model. 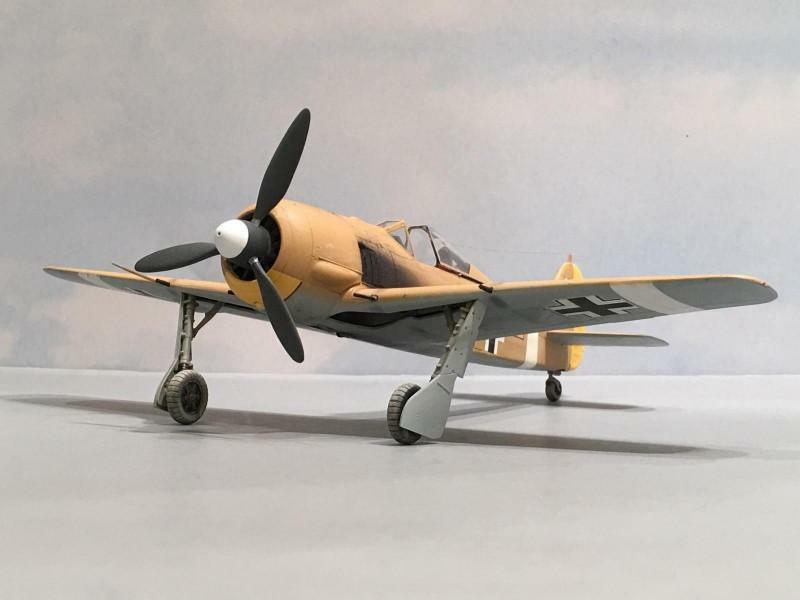 It was the perfect time to build up a few 1/48 scale Tamiya FW 190’s! This next model is one I have always wanted to build. That’s the great thing about Group Builds. They just give you that little nudge to get busy. 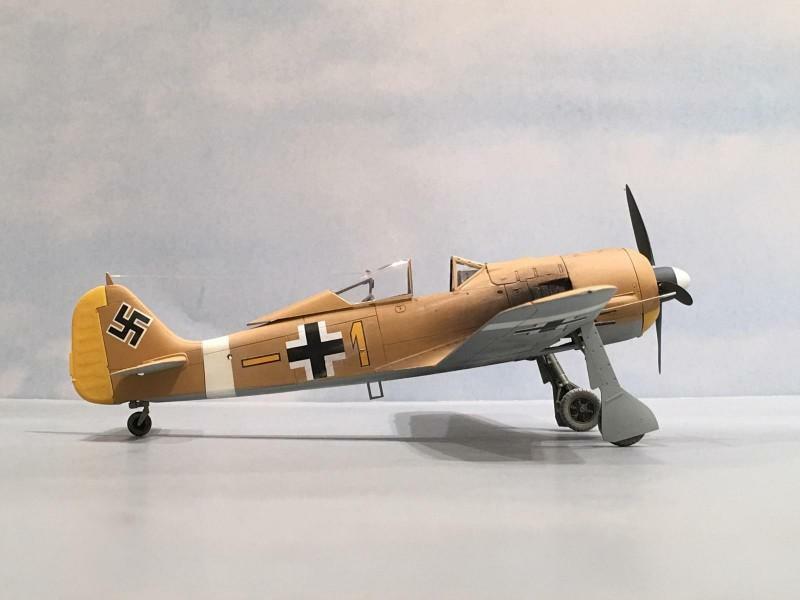 Since I was going to be spraying RLM 79 I decided to build up a He 111. This time it was the Monogram 1/48 kit. 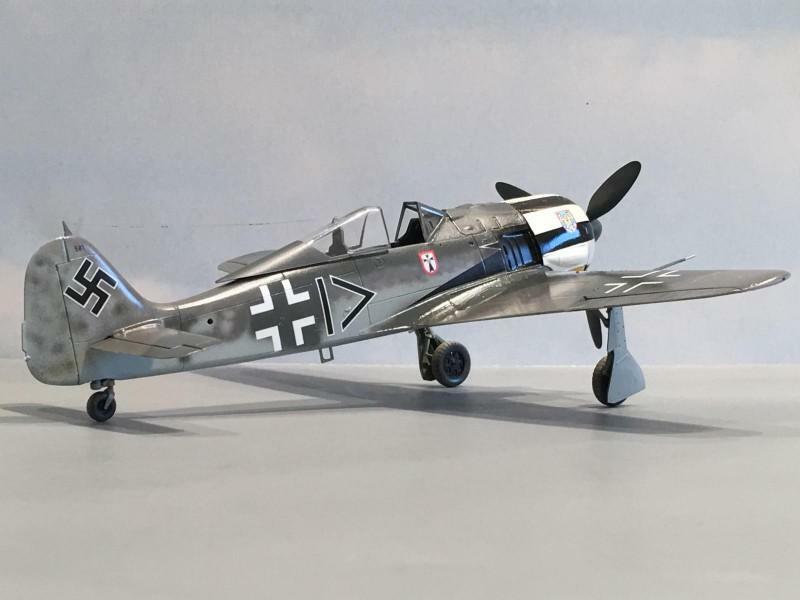 then it was back to the “Butcher Bird” 190’s, Otto Kittel and his FW 190 A8. 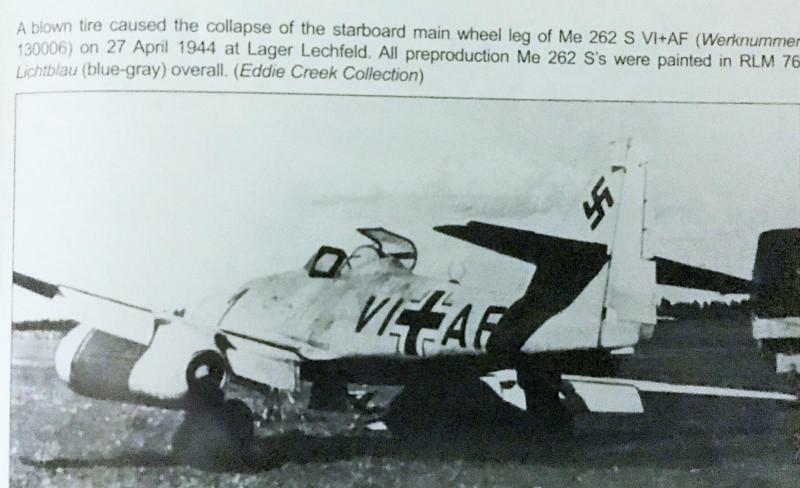 This was his last plane and he was shot down in a plane marked like this one “Black 1”. 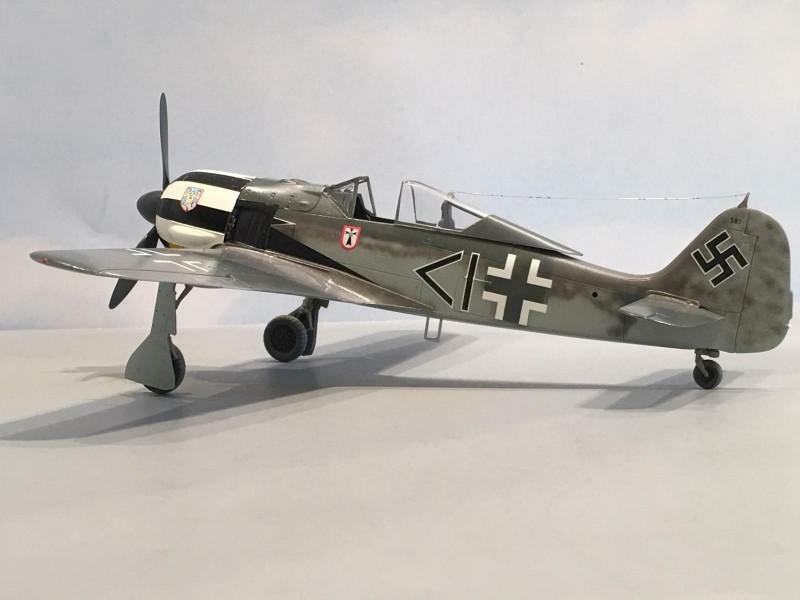 Hot on the heels of this one was another Tamiya FW 190 A4 in 1/48 scale. 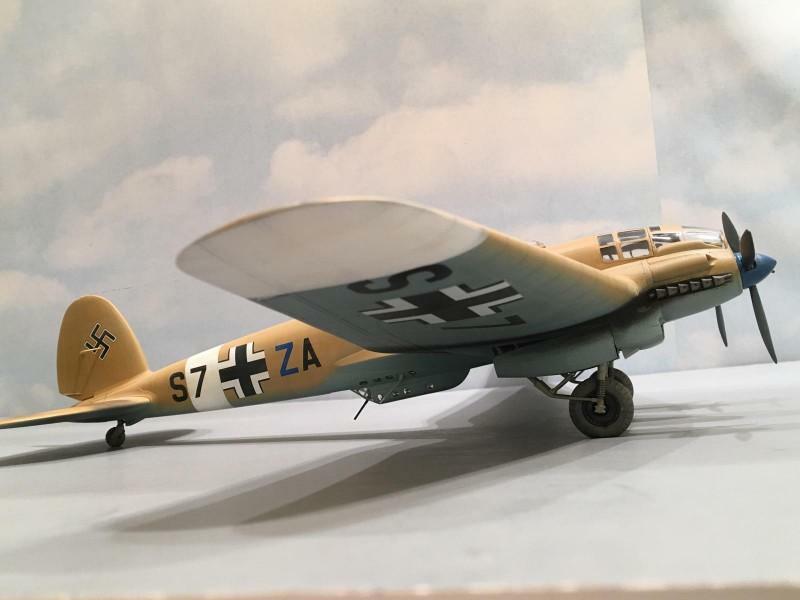 The four Wurgers were topped off with this last one, an early A4 flown by Hans Hahn. As odd as this next statement may sound, it was true. The Monogram He-111 took a toll on me. I needed something simple. I was looking for an easy build with a no fuss monotone finish. 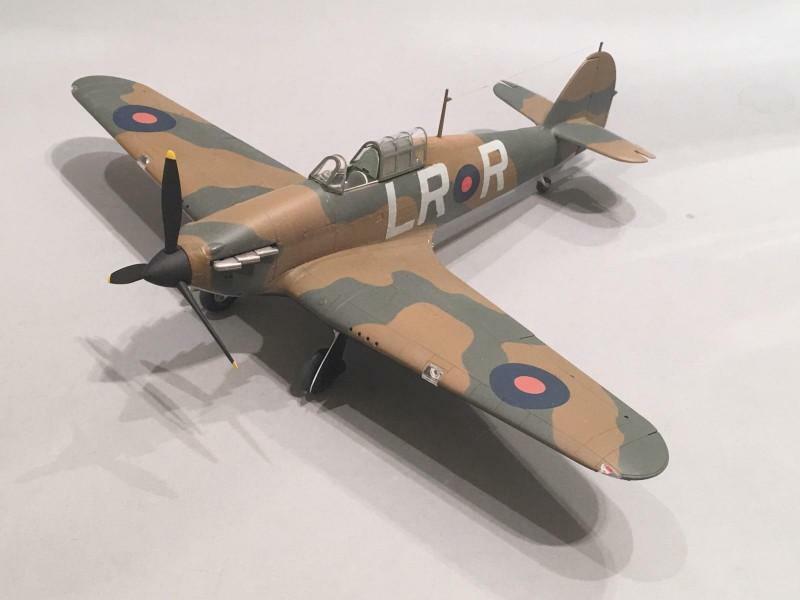 I have wanted to build this plane for several years now, so I just said why not. This has to be the very best building model I have done in a long time. It was a hassle free build and very enjoyable. You will definitely see some more of these coming from the “Iron Werks” in the near future. 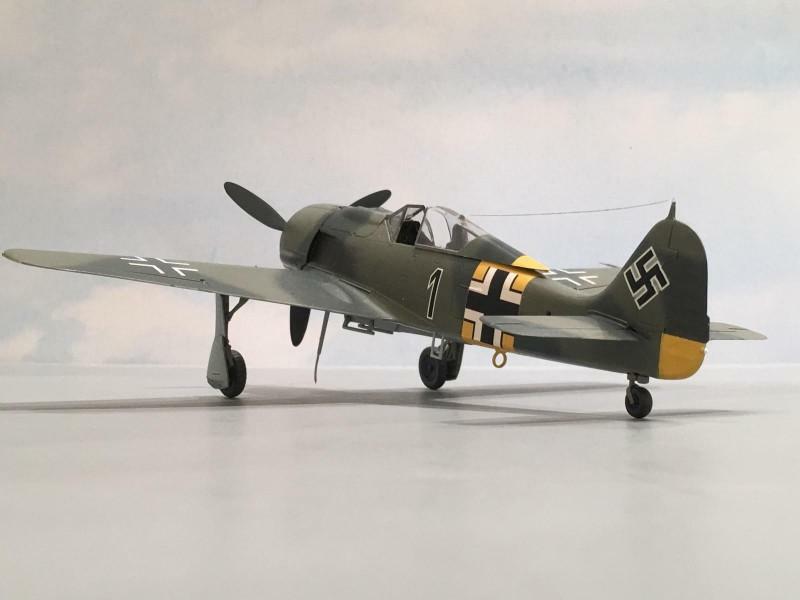 Tamiya Me-262 in 1/48 scale. This one is painted in a simple color combination of overall RLM 76 Light Blue. By now the 100 Years of the RAF Group Build was in full swing. 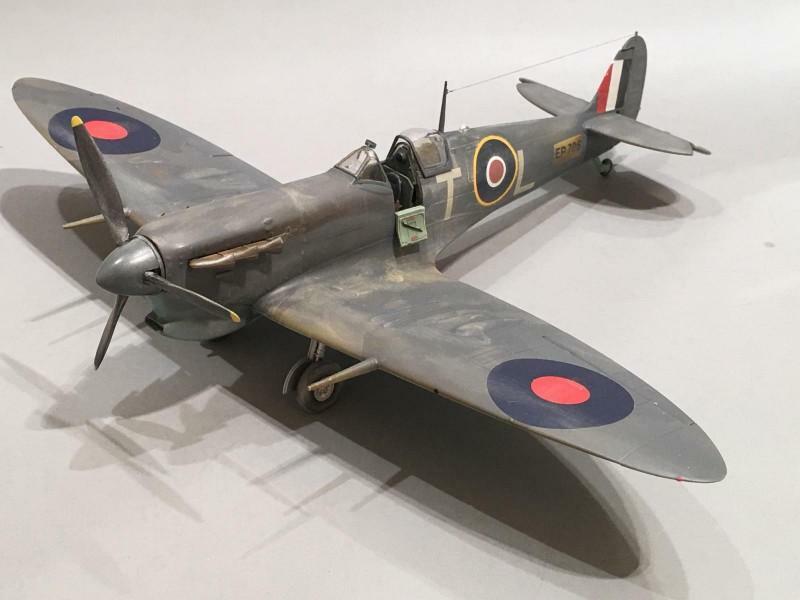 I decided to fire up the Iron Werks assembly line again and build some RAF planes. 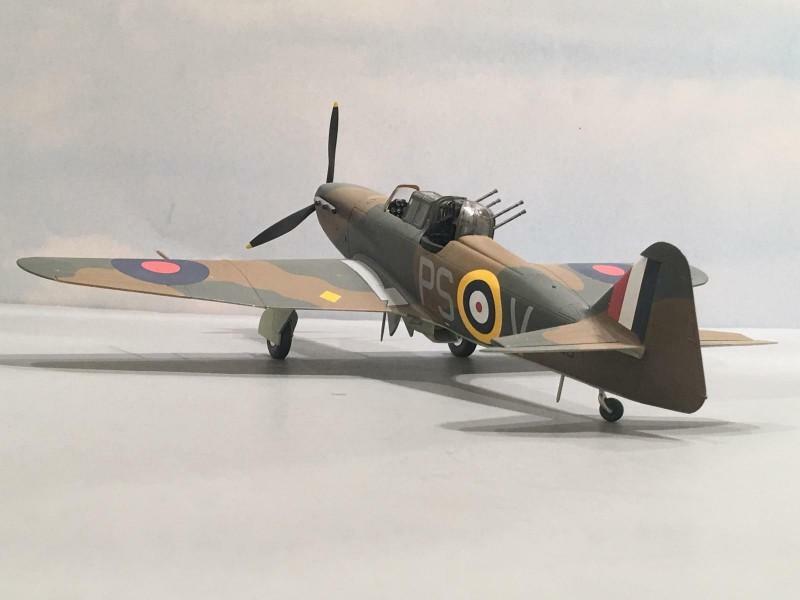 The first one completed was this Classic Airframes 1/48 early Hurricane with a “cloth wing” and a two blade Watts propeller. 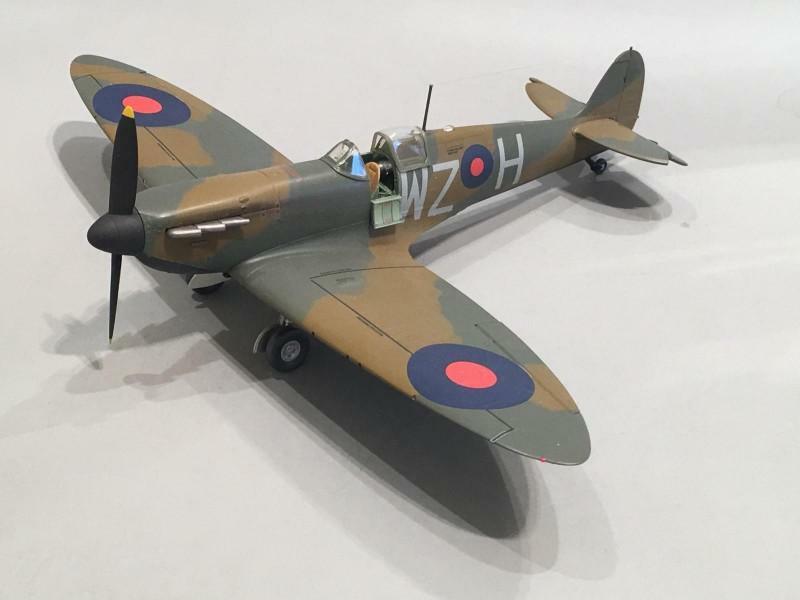 The next RAF plane article I posted was on this new tool 1/48 scale Airfix Spitfire Mk I. It also has a two blade Watts prop. 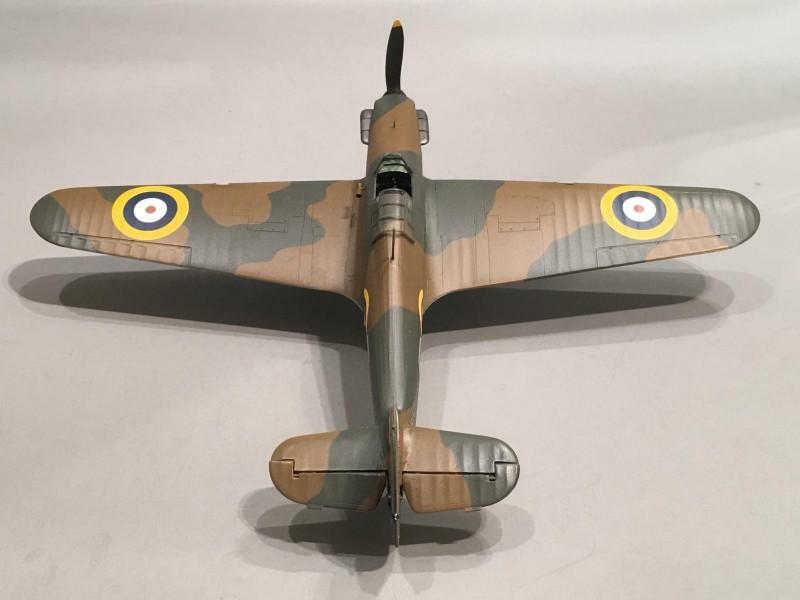 A new tool 1/48 scale Airfix Hurricane was the next posting. This is a lovely kit and I can’t talk too highly of it. 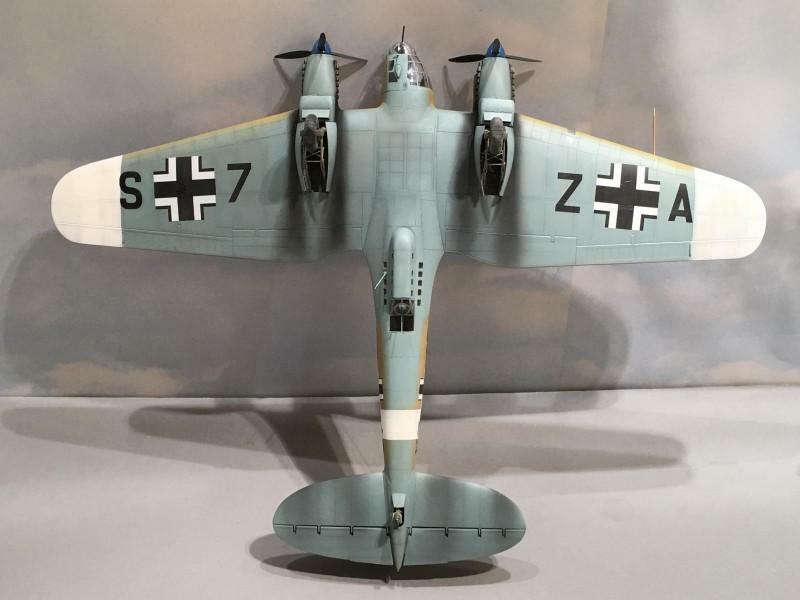 This next one is a model that was awarded as the “random kit” award from Martin and his staff here at Imodeler. 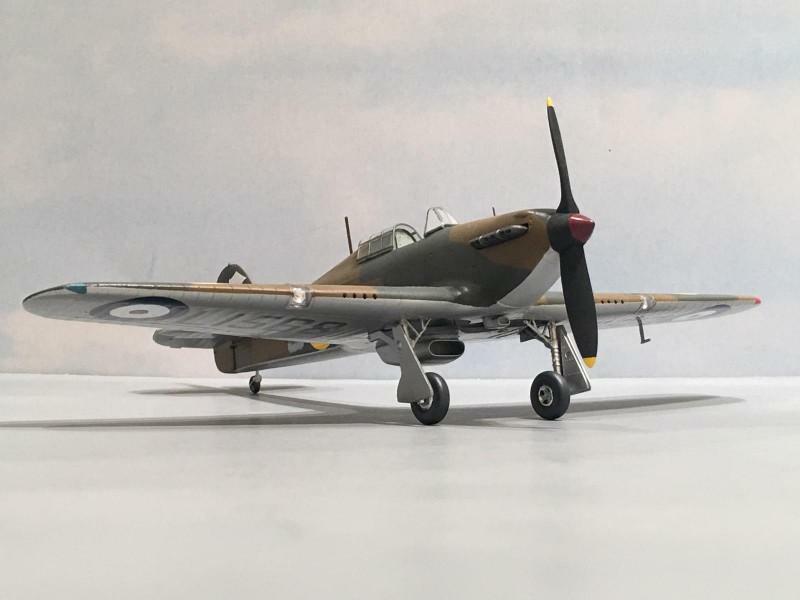 I finally finished it up as part of the RAF build. 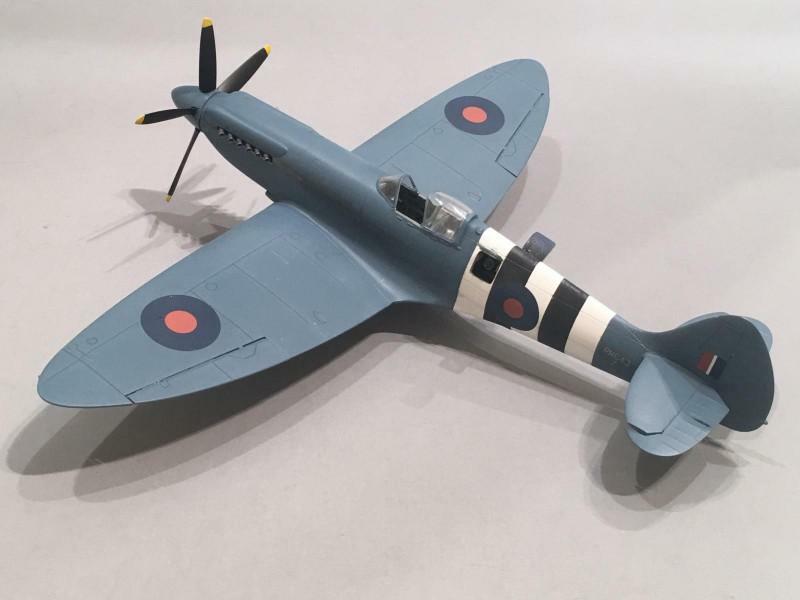 Another Tamiya 1/48 scale Spitfire Mk Vb with clipped wings was next. 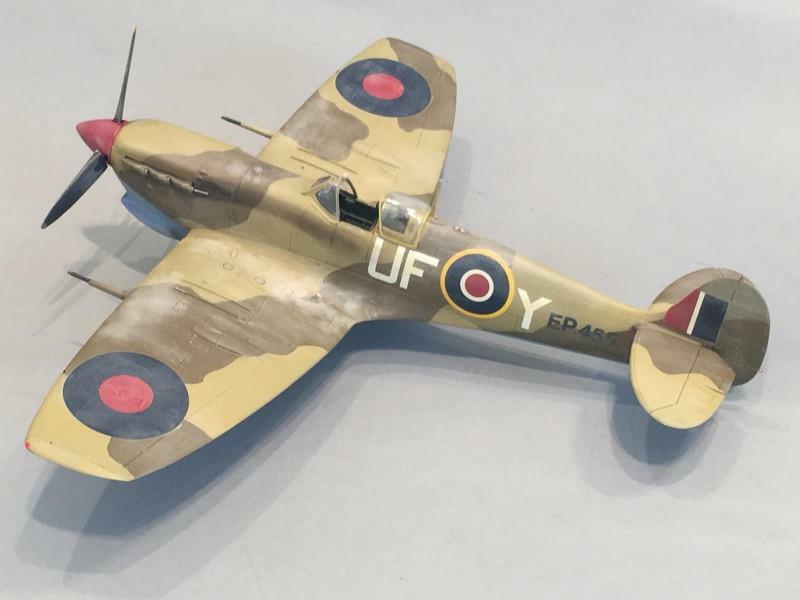 This 1/48 Tamiya Spitfire Mk I was hot on the heels of the desert plane. 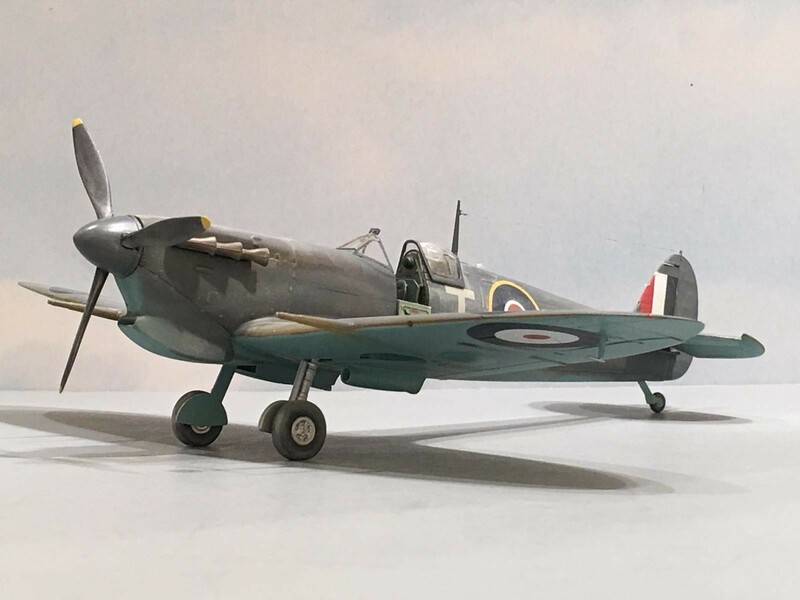 My last entry for 2018 was this Airfix Mk Vb in 1/48 scale. 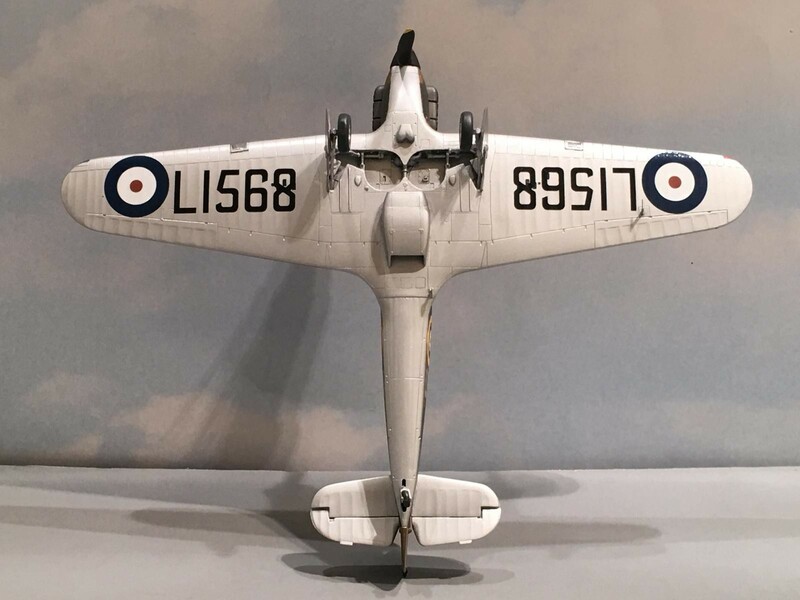 This one was painted as a plane flown by George Beurling on Malta with the 249 Squadron. Happy New Year, Louis! That’s a remarkable photo log of accomplishments, and we’ve all enjoyed them. Best blessings on you and the missus this coming year! Thank you very much David !!! This sincerely means a lot my friend. I want to thank you again for all of your support throughout the last year. May God bless you and your loved ones throughout this coming year too. You’re always such a friend, Louis. I have such respect for you and your helpful, encouraging personality. Your name on a message board always means kind words and insightful remarks, as well as incredible model-building skills. I know everyone else feels the same way. This is the best compliment a person could ever get………………… and it sincerely means a lot coming from you. Thank you very much !!! The same goes for the “Golden Wings” era aircraft, Pacific theater stuff and with WW2 German stuff from the Eastern Front. These are my weaknesses…………….and I’m like a kid in a candy store with them………………. I must admit. Take care my friend and I hope to hear from you again soon. A great body of work, Louis! Thanks Gary !!! 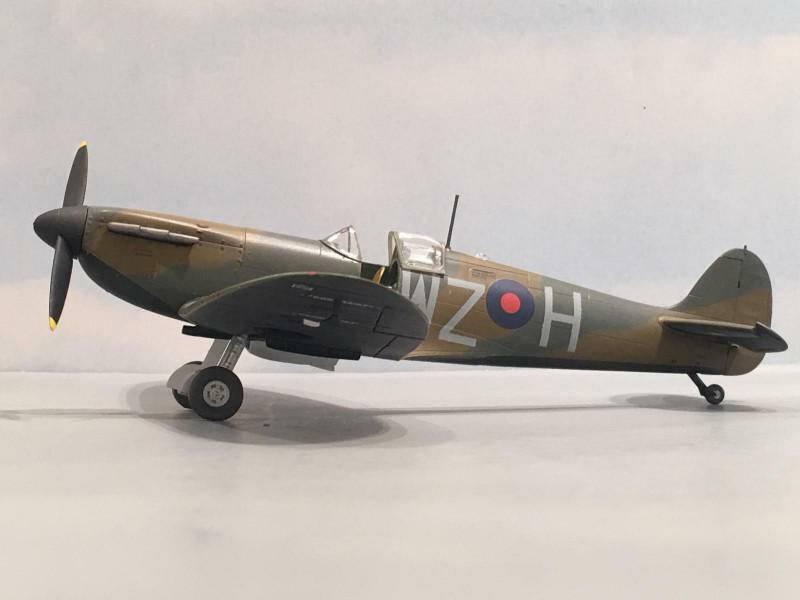 Hopefully I will have the Spitfires done, and a few German and Japanese twin engine planes. I also want to build some Korean War stuff. 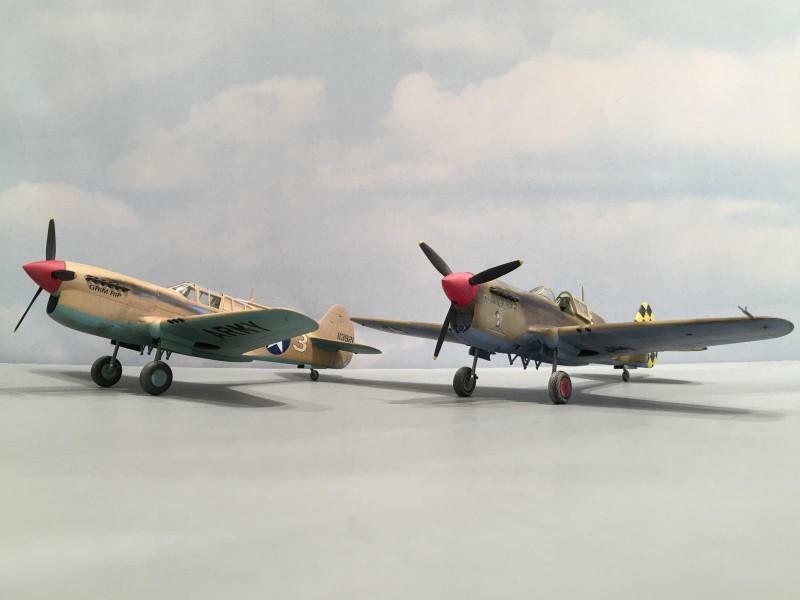 Early jets and a few more Hellcats and Corsairs, with some armor builds too (just possibly a P-38)…………………..maybe even a few more Tamiya 262’s. Looking through the pics again….that white 262 really stands out. i may have to add that to my list. 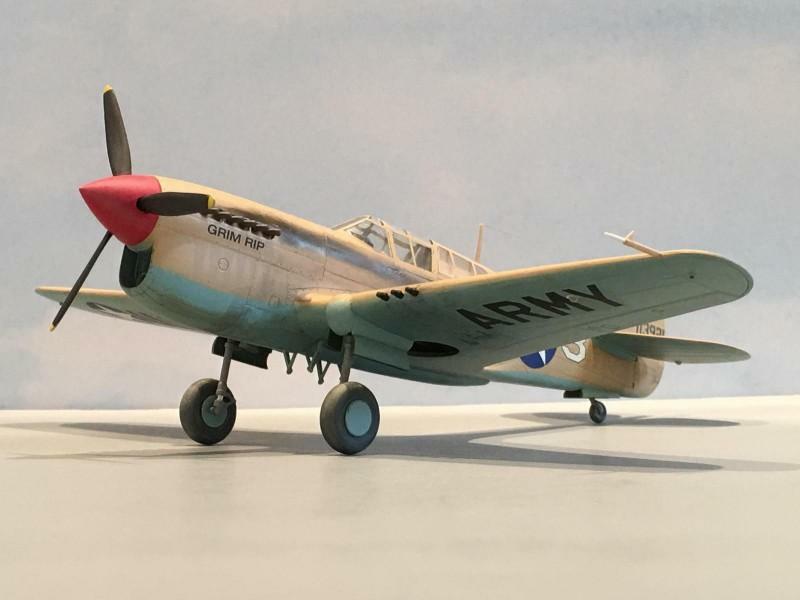 Some of the first builds on my list this year, inspired by you and the Bebout’s Curtiss factory, will be, I’m hoping three P-40’s…..my first. Good luck with your builds! 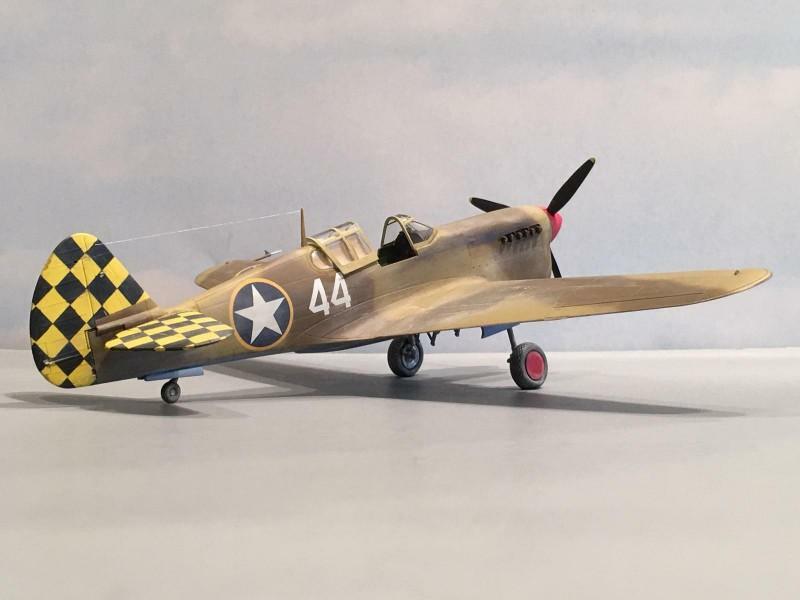 I’m very pleased that we (Tom B. and I) have inspired you to build up a few P-40’s. I’ll be looking forward to seeing them as the P-40 is right up there in my “top 5” planes. 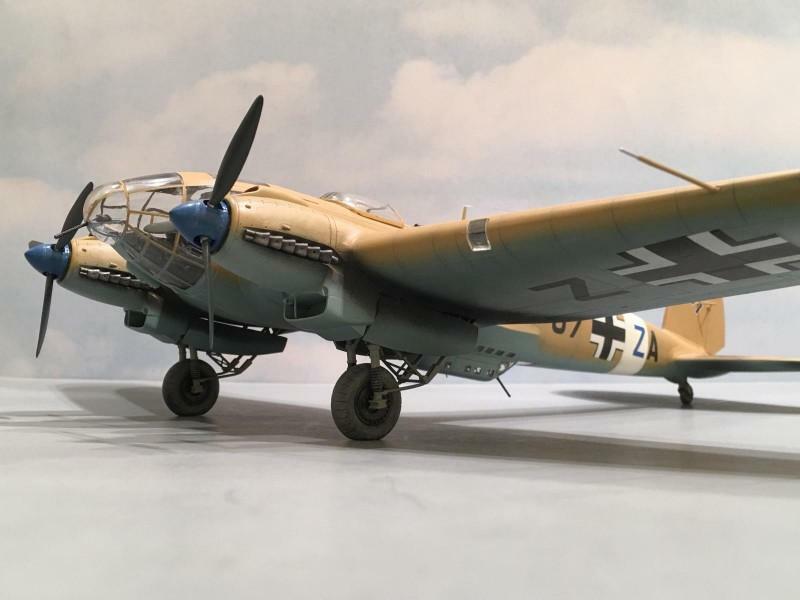 As far as the Me-262 it’s actually finished in overall RLM 76 Light Blue. My poor photography skills have indeed made it look to be more of a white than a blue. I learned during that build that all of the pre production 262’s were finished in this overall light blue color. 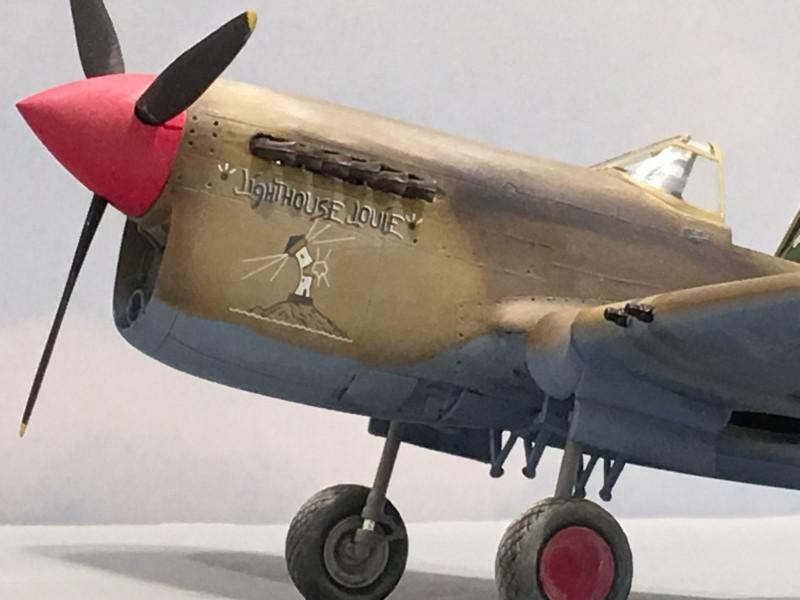 Here’s the picture that inspired this Tamiya Me-262 build. Hope these pictures might inspire you too. The 262 is a fine machine !!!! 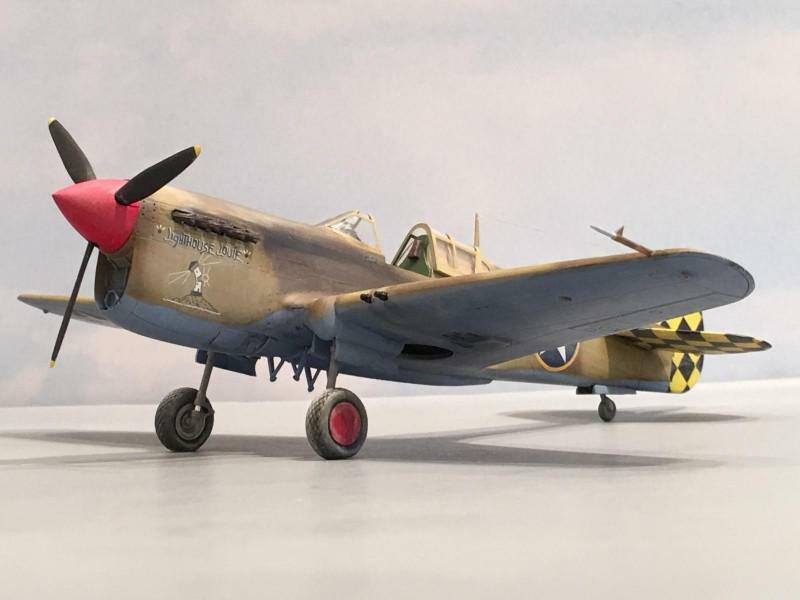 Good luck with your P-40’s and please keep me posted on how they are coming along………….. I definitely have a 262 on the list of builds in ‘19. I drive myself half mad about colour schemes, though. That colour photo is a beautiful pic, Louis. What a great modelling year 2018 was for you, I’m pretty sure this new year will be at least as good as the old one for you. Happy new year and bring on some more great builds Louis! 2018 was a very good year for building models. I hope that 2019 will be even better……………………. and time will tell. What a line up, Louis. ‘Yellow 1’ still edges it for my favourite, I think. Prodigious work rate with great skill % hard combination to beat! I like both Yellow 1 and Black 1, (by far) the best out of the 190’s. 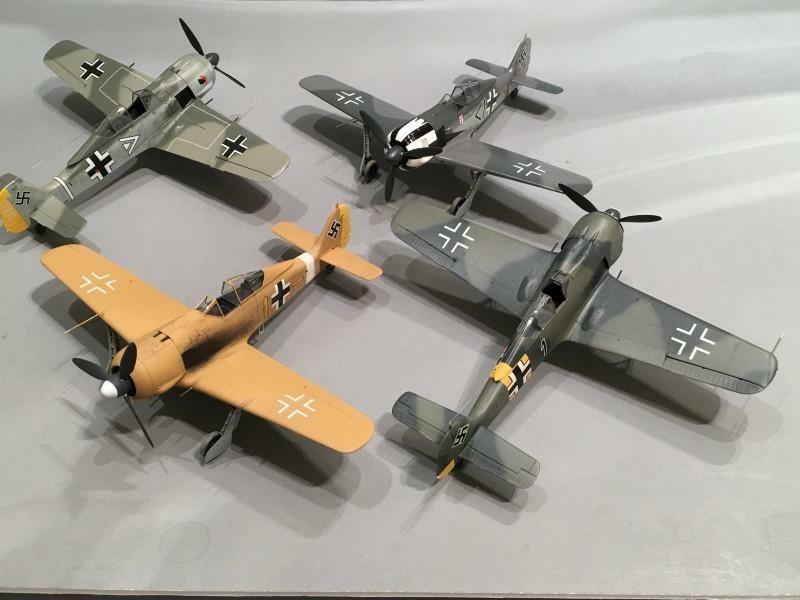 But for me I think that Black 1 just edges out the other by a nose…………….. There’s just something about those JG 54 machines and the “odd ball” non standard colors they used. I sincerely appreciate the comments, and Happy New Year to you and your family my friend. Excellent year in modeling Louis. I thought I had an ambitious plan starting out for 2018!! All outstanding builds, fulfilling the commitments to the GB’s and even on independent projects. Amazing what you can squeeze in even when life tends to have it’s moments. 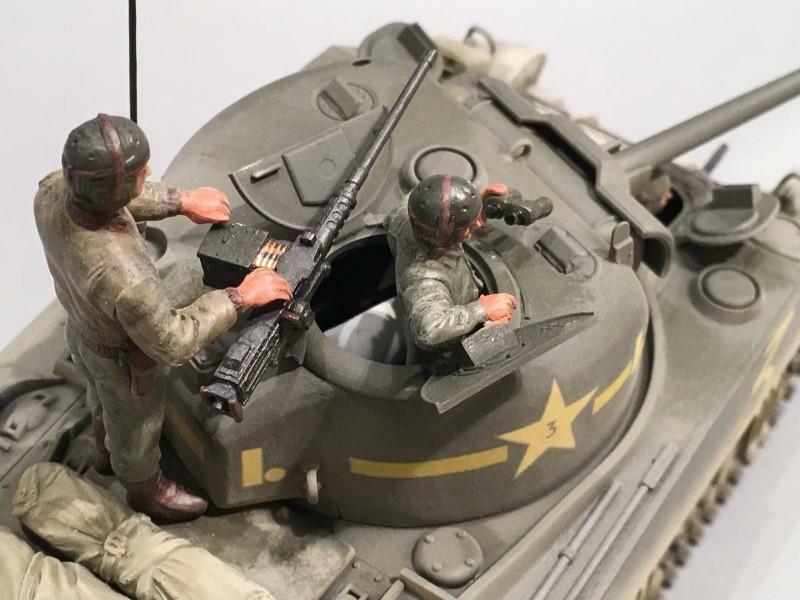 True passion for the hobby and all of your models reflect that, Now a new year, new projects. Happy New Year to you and the family, you will overcome the challenges known and unknown, keep the faith and God willing will be sharing more models through the year, may God continue to bless you and your family. It was indeed a good year for building models. I never intended to build some of these kits. It was becoming involved with the various Group Builds we had that helped to push me along…………….. I do have a deep passion for our hobby. My other passion is for restoring full sized 1 to 1 scale Mopar “Muscle cars”. The restoration work has taken a back seat somewhat during the year for various reasons throughout the year. I hope that I can get the Challenger finished in 2019. That would be good………….. Thanks again for the kind words, and may God bless you and your loved ones with a healthy and safe year. You’re production amazes me, Louis! All to a high standard too. Happy New Year! Stunning works, all of them Louis. You’ve set the bar pretty high. Very impressive. All the best to you and Sandy! 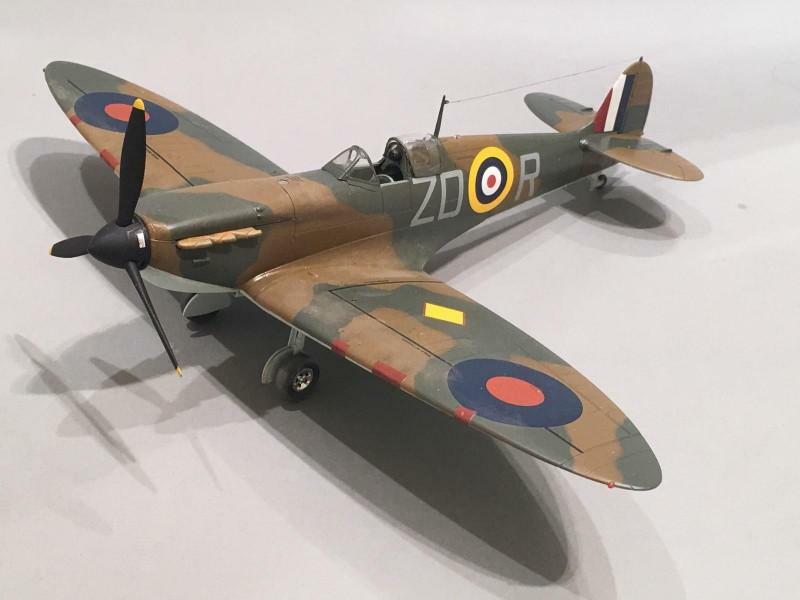 This was a great year for building models. I just got lucky with the output this time. May you and your family (new in laws included) have a safe and prosperous new year. Great work, Louis. I can’t add anything original … all the adjectives are already in use. But I can say how much I’ve enjoyed seeing your models, reading about the “Iron Werks” and Casa Bromwich, and talking as we do on the phone. Aviation/Armor/Figures/Watercraft/generally & ALL types of different & interesting information! 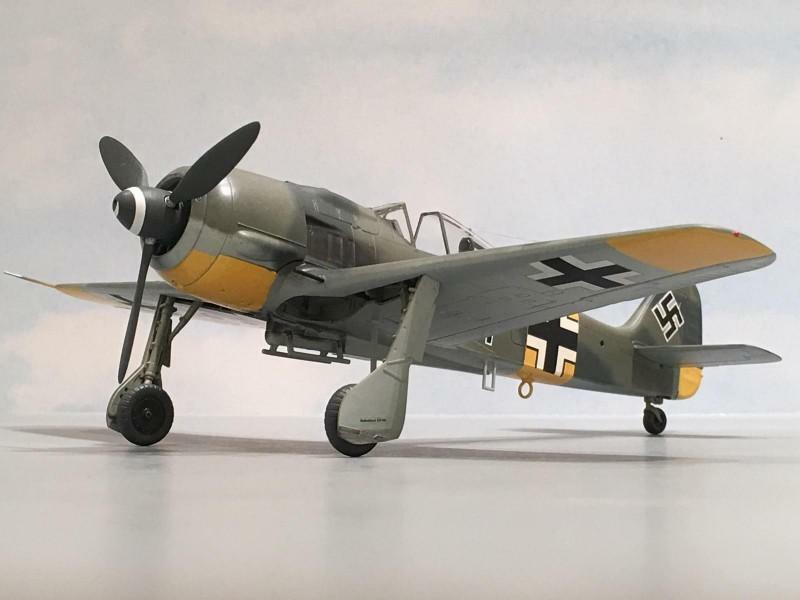 PS – I forgot to add this when I first commented: I especially like the Mk5 Spit and Kittel’s FW190. Outstanding!! Jeff my fellow DAT brother !!!! Happy New Year buddy ……………… and thanks for the compliments. It has been a great year. Lets hope that things will continue in this direction in 2019. It’s not the number of kits that you build. It’s all about having fun. If you build 22, or 2, or even none at all, as long as you’re having fun that is all that really matters. It’s a bonus when you learn something. Have a safe and happy New Year to you and your loved ones. Great job Louis, so many great builds for 2018. And I love your back stores, always interesting! Looking forward to your 2019 production! May I suggest a nice Ju-88 perhaps? Thanks Robert for the compliments. I was fortunate during 2018 to have some productive time at the work bench. I hope this carries over into this new year !!!! I was thinking about breaking this one open next……………. Thanks again for sending me copies of your instruction sheet. Happy New Year my friend !!!! Amazing Louis – one heck of a collection! Love your work and your posts. Speaks much of the person behind them! Have an incredible 2019.